Evergreen tree. 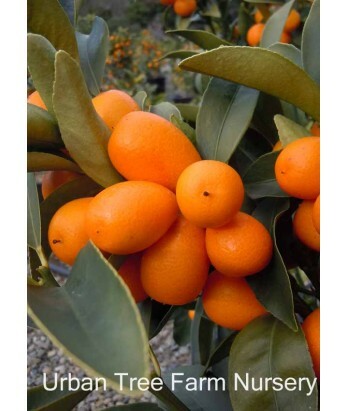 Best if protected from frost, but slightly more frost hardy than other citrus. Thornless tree with larger broader leaves than other kumquats. Light yellow-orange rind on smooth, bell-shaped fruit. All citrus are heavy feeders. Regular water needs in well-drained soil once established.